You checked to make sure the appliance is plugged in, the device is switched on and the circuit breaker is not tripped, and yet the appliance is not receiving power. It is a rare occurrence, which is one reason why a situation where there is no power and the circuit breaker is not tripped can be puzzling at first. 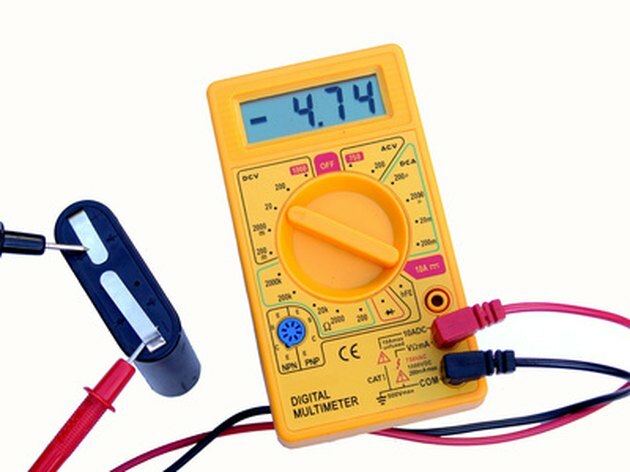 A circuit breaker, the connecting wire and appliance, however, are all components of a simple circuit that you can troubleshoot with a standard voltage meter. A voltage meter is your primary troubleshooting tool. Remove the screws securing your panel box cover and set the cover aside. Check for voltage at the wire connection terminal on the circuit breaker in question. Verify the voltage is correct. No power at the connection terminal while the circuit breaker is in the On position indicates a defective circuit breaker. Remove the receptacle cover from the outlet without power. Check for voltage at the wire connection terminals on the side of the receptacle. Verify the voltage is correct. No power at the connection terminal indicates a break in the wire. Power at the connection terminal but not at the receptacle plug indicates a faulty receptacle. Switch the main circuit breaker to the Off position. Disconnect the wire from the circuit breaker and the receptacle. Twist the set of wires together at the receptacle box and check the wires at the panel box end with the continuity checker on your voltage meter. No continuity indicates a break in the wire. Replace all covers and restore power after making the necessary repairs. Joey Butler began writing in 2006. His work has been published in "The Index Journal" and in "Review: Lander's Literary and Visual Arts Magazine." He has written everything from investigative news articles to a study guide that was published by I.B.I.D. Books. Butler holds a Bachelor of Arts in English from Lander University.